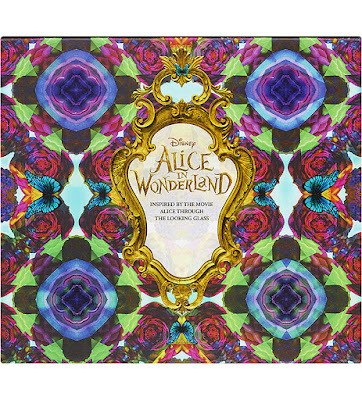 Long time readers will know that anything Alice in Wonderland orientated excites me to no end. 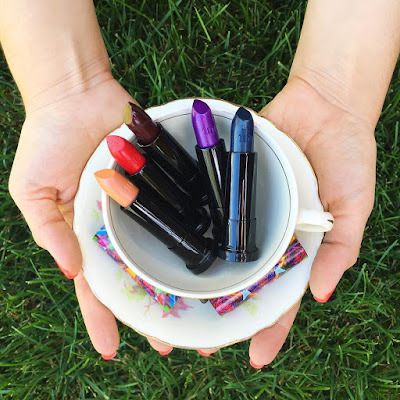 When one of my best friends forwarded me a link to an article showcasing Urban Decay's newest collection inspired by new movie Alice Through the Looking Glass, excited was a bit of an understatement. The collection includes an eye shadow palette containing 20 shades inspired by the film. 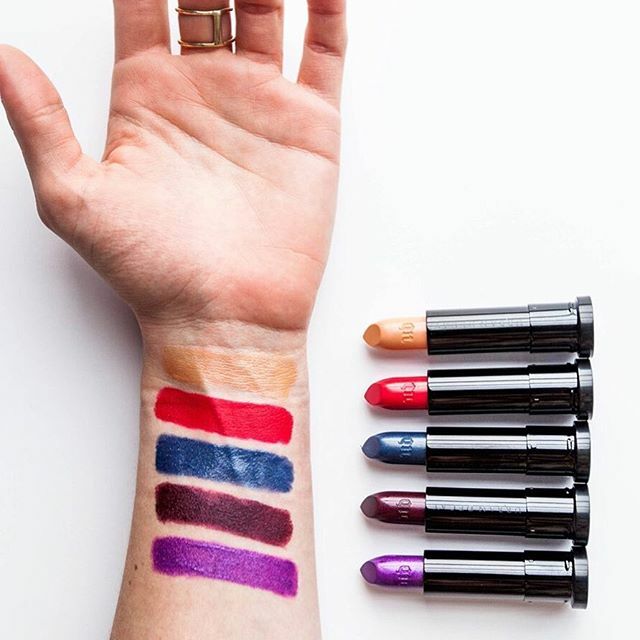 And then also five limited edition lipsticks - some colours not for the faint hearted! 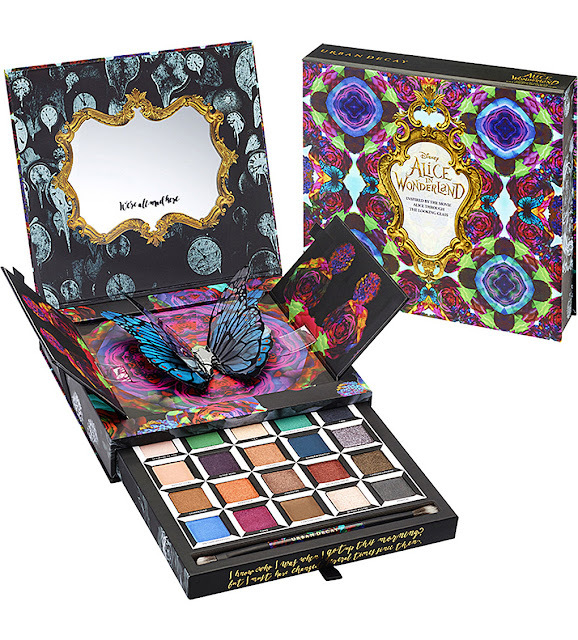 Six years ago Urban Decay released an Alice in Wonderland palette based on the first film called Alice in Wonderland: Book of Shadows. This received rave reviews and sold out in record time. So there are huge expectations again this time round. 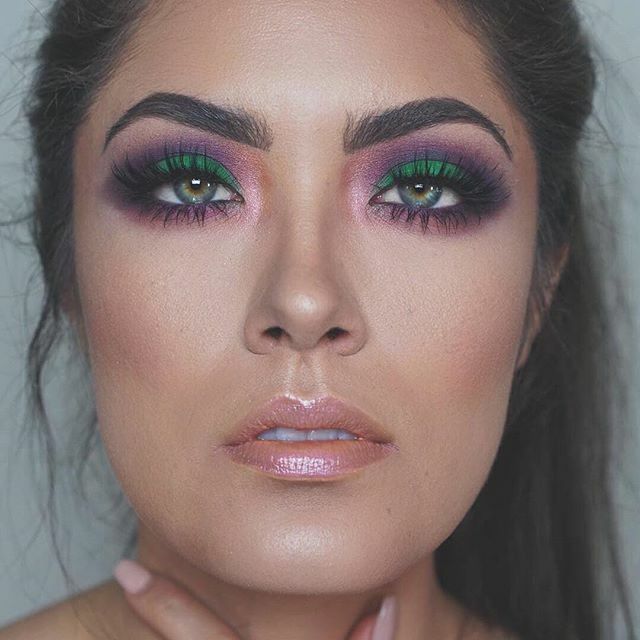 The version 2.0 palette is a work of art. Beautifully packaged, with quotes, a 3D pop up butterfly and a lot edgier than the first palette, it's definitely a lot more in-line with the Tim Burton aesthetic of both films. I love the shades 'mirror', 'kingdom', 'chessboard' 'chronosphere' and 'dream on'. However 'hatter', 'metamorphosis', 'bandersnatch' and 'heads will roll' are a bit out there for me personally! All shades infused with UD's trademarked Pigment Infusing System, reportedly guaranteeing good staying power as well being easy to blend with other shades. As I haven't yet managed to get my hands on the collection to play around with - and doubt I ever will as I reckon this will be even more popular and sell out faster than the first collection(!) - I can't share any swatches with you. For a full list of colours and swatches, this is the best place to consult. The Alice Through The Looking Glass collection will be available on the Urban Decay website from 1st May and in-stores from 5th May. Which must be some sort of sign as my birthday is 5th May! 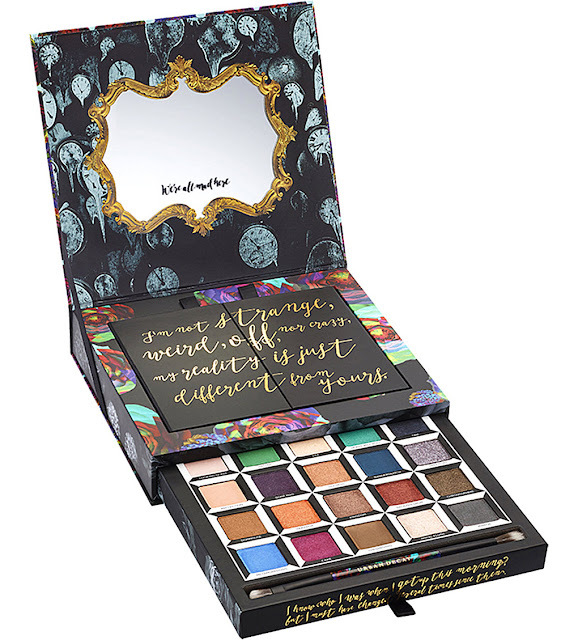 ;) Selfridges are also selling the palette here. Will you be purchasing anything from the Alice Through The Looking Glass collection?